OverviewA sci-fi puzzler set in outer space featuring the actress Tia Carrere as its main selling point. The game has plenty of (bad) acting serving as cut scenes between puzzles that bare little relevance to the setting in space. It tries to ride the same waves as The 7th Guest. Now you can add videos, screenshots, or other images (cover scans, disc scans, etc.) 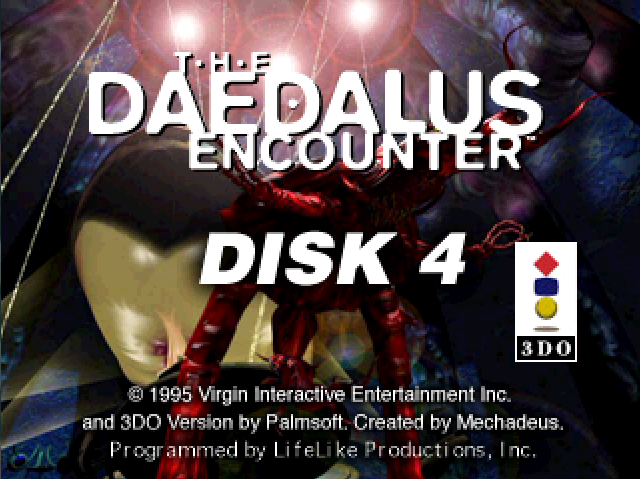 for Daedalus Encounter, The (1995)(Panasonic)(US)(Disc 4 of 4)[! ][FZSM37514 R1J] to Emuparadise. Do it now! If you haven't noticed yet, we have a retro game of the day feature (top-right of the screen) wherein we feature a new retro title every single day! Now, you can vote for your favorite games and allow them to have their moment of glory. 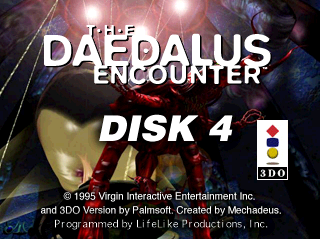 Click on the button below to nominate Daedalus Encounter, The (1995)(Panasonic)(US)(Disc 4 of 4)[! ][FZSM37514 R1J] for Retro Game of the Day.